The cost of living is constantly on the rise. Unfortunately, salary prices have not kept up with how much it costs for the average homeowner to pay their mortgage, cover their utilities, feed their family, save for college, and have a little extra to do some fun things with their family. This has led many to take the step of starting their own business. Some individuals have specialized skills and training that they can use to start a business in a particular field. But what about people who do not have a technical skill? Is there a business that they can start and be successful at? Absolutely. They can start a janitorial cleaning business. 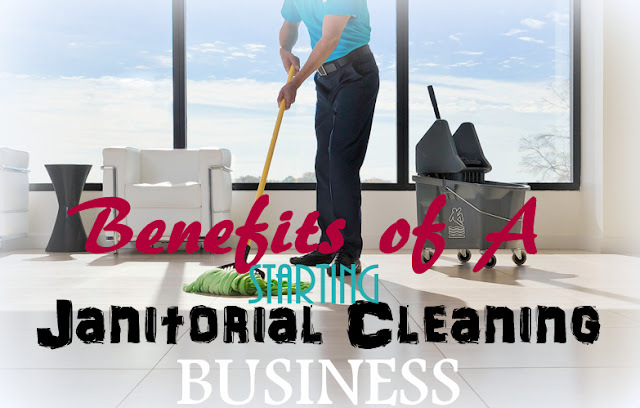 There are a lot of benefits to starting a janitorial cleaning business. First and foremost, startup costs are very low. There is a never ending list of clients. Offices need to be cleaned, hospitals need to be cleaned, and restaurants need to be cleaned. Janitorial businesses are very profitable. They are profitable in part because they require people to do a job that most people do not want to do, and they require people to work at hours when most people do not want to work. Starting a janitorial business is relatively easy, yet there are some things that should be taken into consideration. Like every other business, if a janitorial business is not properly managed, it can fail. Part of properly managing a janitorial business is planning ahead for the what if’s. This means making sure that you have the necessary insurance needed to protect against accidentally breaking something. There are a lot of legal concerns. For example, you will need to select the name that your business is going to operate under. The name should be registered federally, and you should receive an assumed name certificate. From there you can get a tax ID number, a sales tax permit, and contracts that you and your clients can sign. Janitorial businesses have a lot of competition. In addition to providing high quality service, janitorial companies must be able to provide a competitive price. The best way to do this is to purchase wholesale janitorial supplies as this will allow you to purchase more items for less money than you would pay retail. The uncertainty of the economy seems like it is something that is here to stay. Family heads who are concerned about providing for the future of their families are wise to look to alternative incomes.